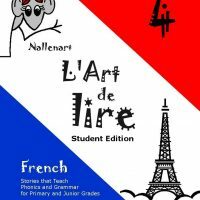 Each 80 page Student Workbook features a French-English glossary, easy to understand explanations of new grammar concepts, and exercises. 8 1/2 x 11 pages. 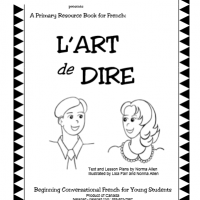 The CD walks the student through the workbook, giving opportunity to hear and repeat all the vocabulary and sentences. Unit Tests are included with workbook. Flashcards can be used to review vocabulary. 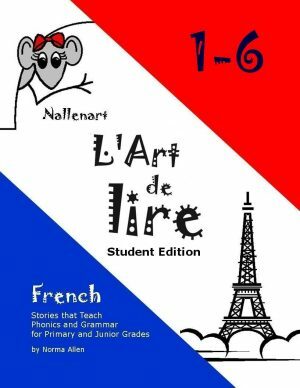 The Teacher Workbook is a copy of the student workbook with answers filled in. 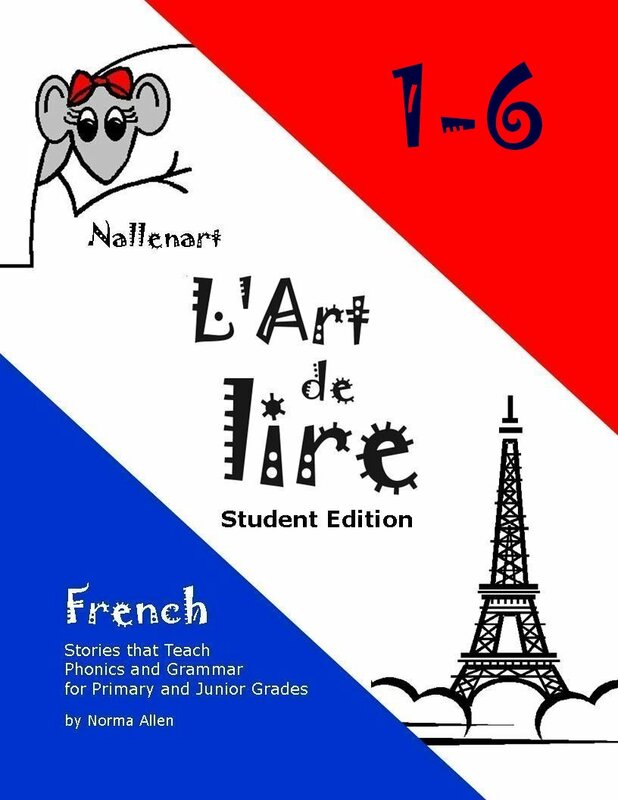 Includes 6 Student Workbooks, 6 Teacher Keys, 6 Sets Flashcards, 6 CD’s. Extra workbooks available. Levels may be ordered separately. A downloadable version is also available.